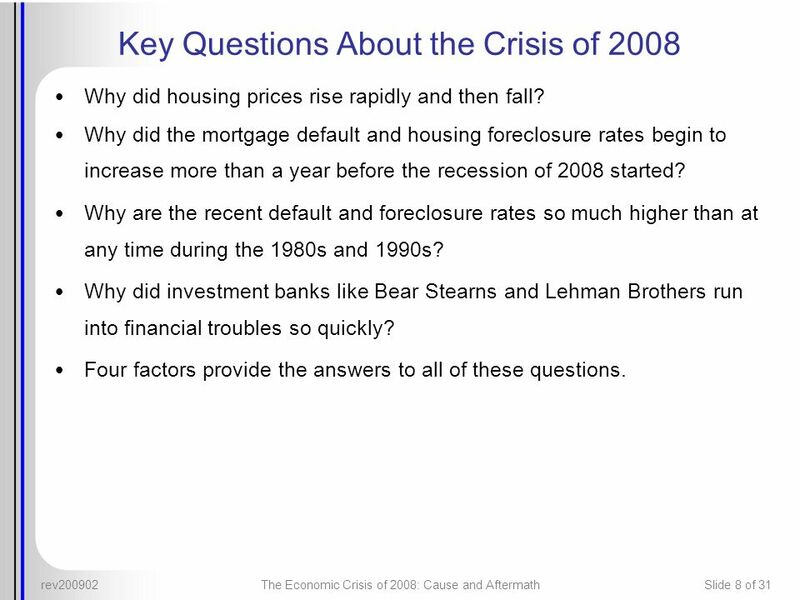 9 What Caused the Crisis of 2008? 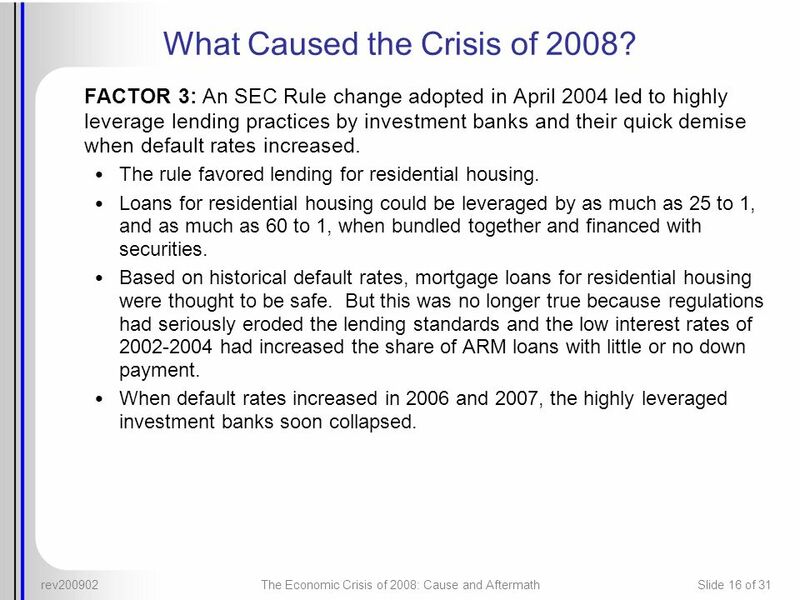 13 What Caused the Crisis of 2008? 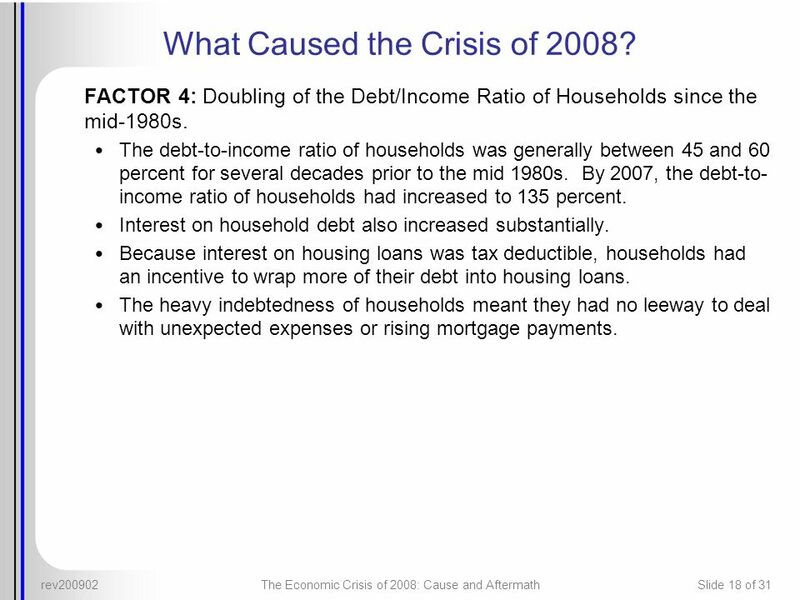 16 What Caused the Crisis of 2008? 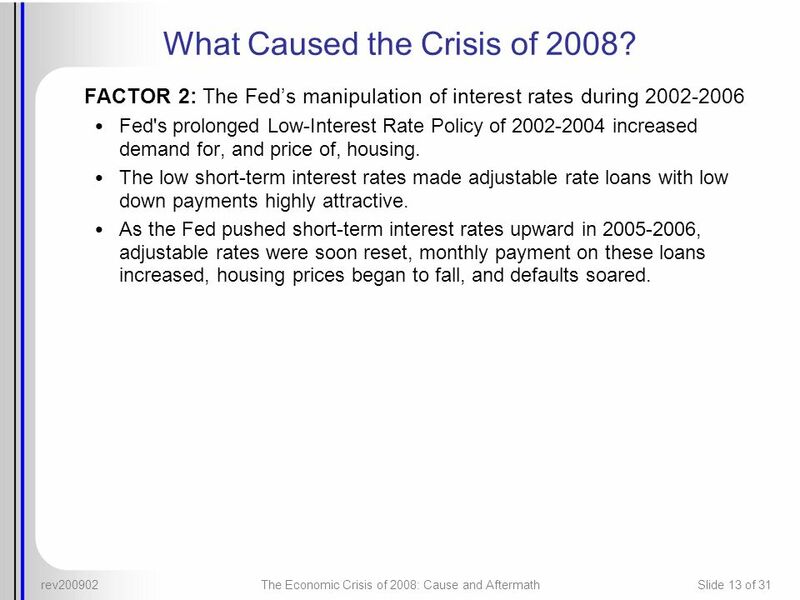 18 What Caused the Crisis of 2008? 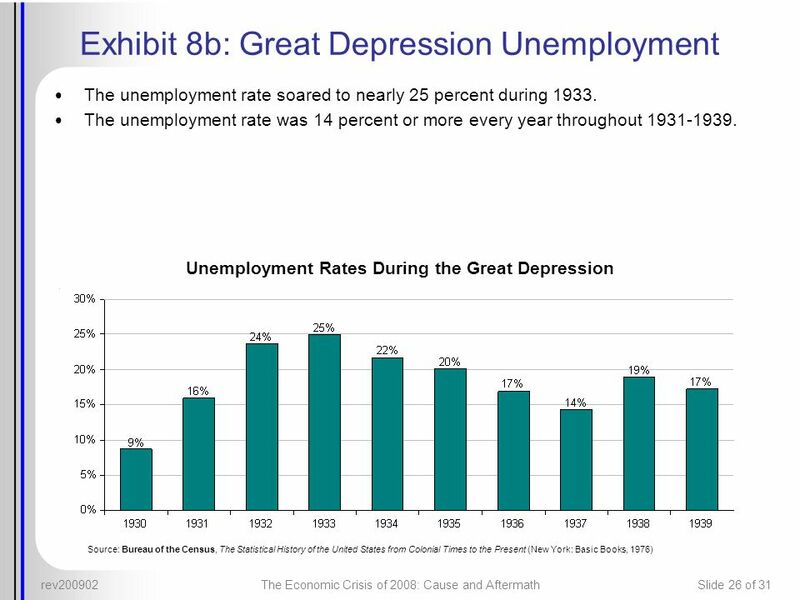 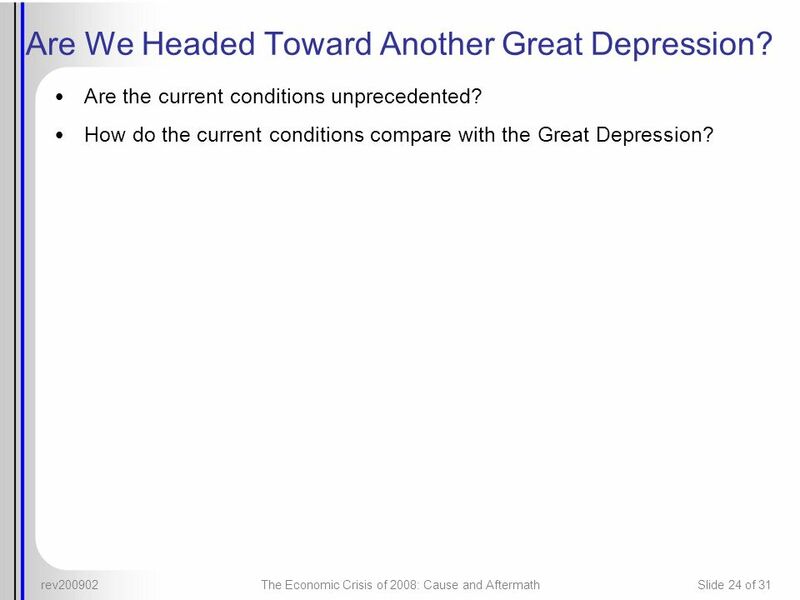 24 Are We Headed Toward Another Great Depression? 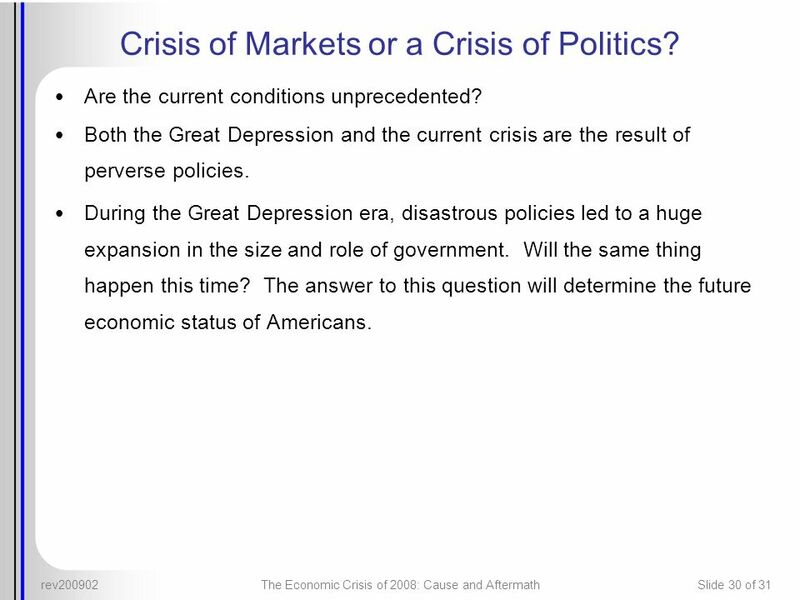 30 Crisis of Markets or a Crisis of Politics? 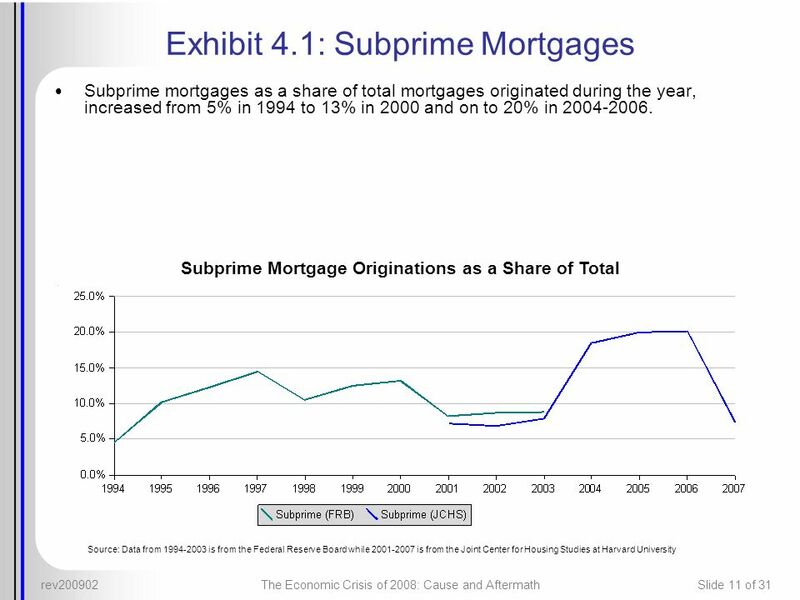 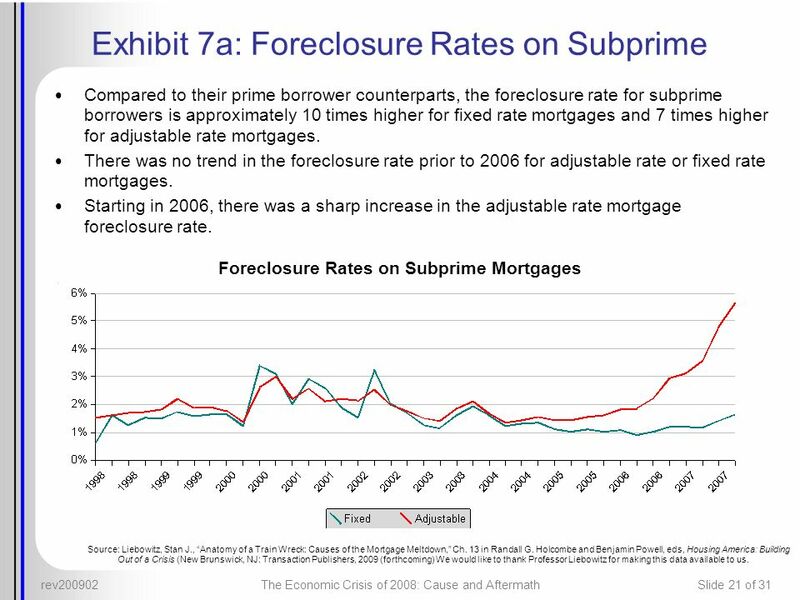 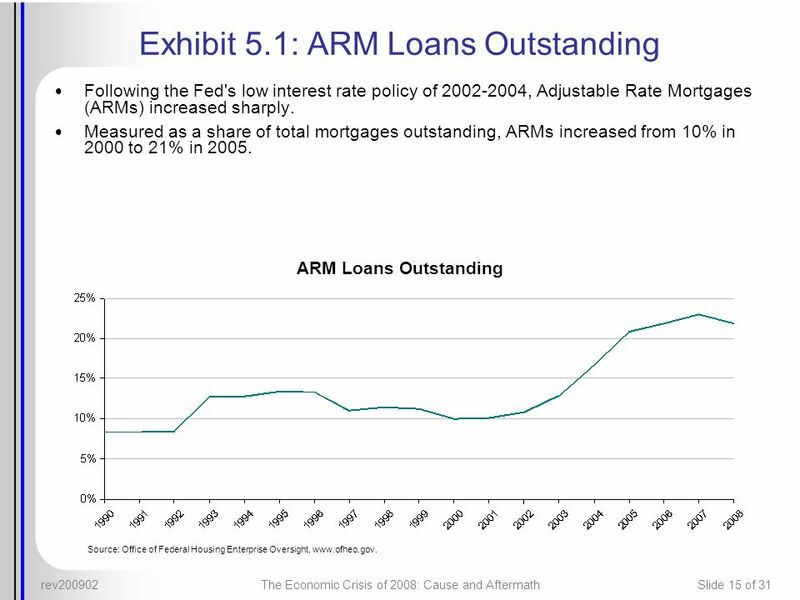 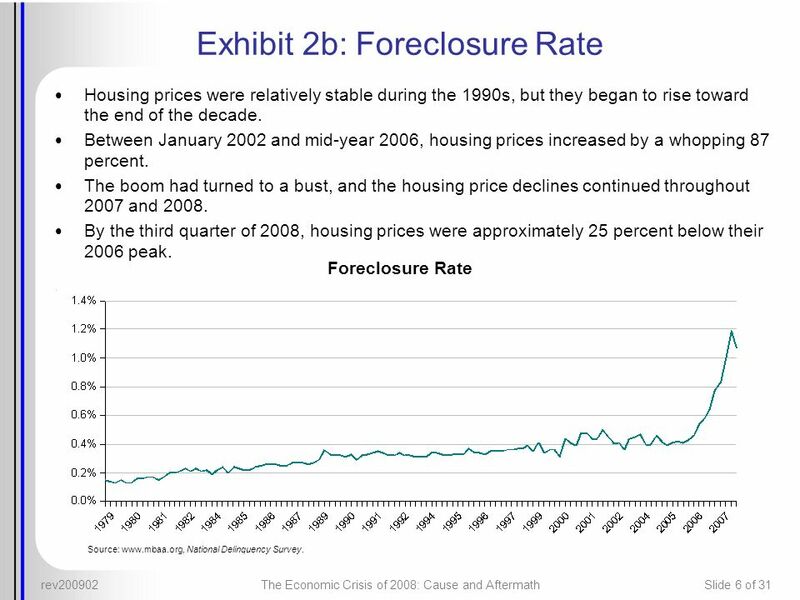 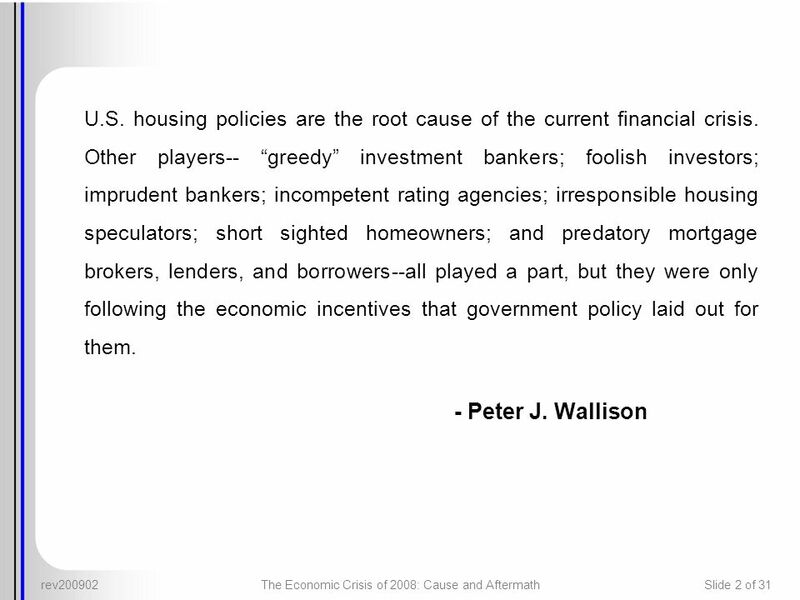 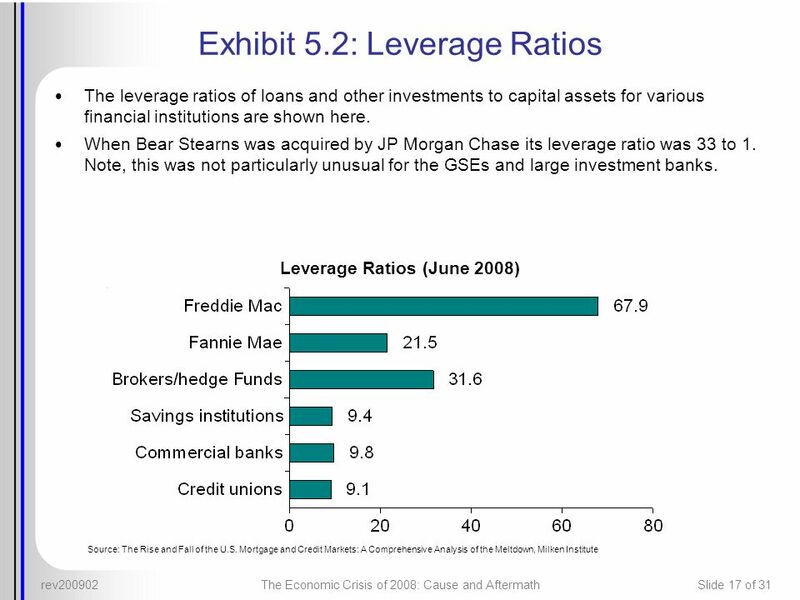 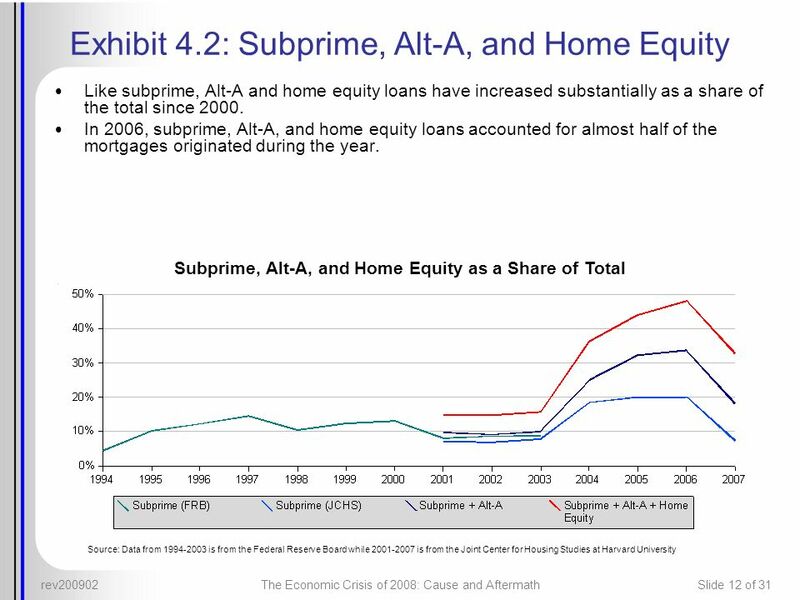 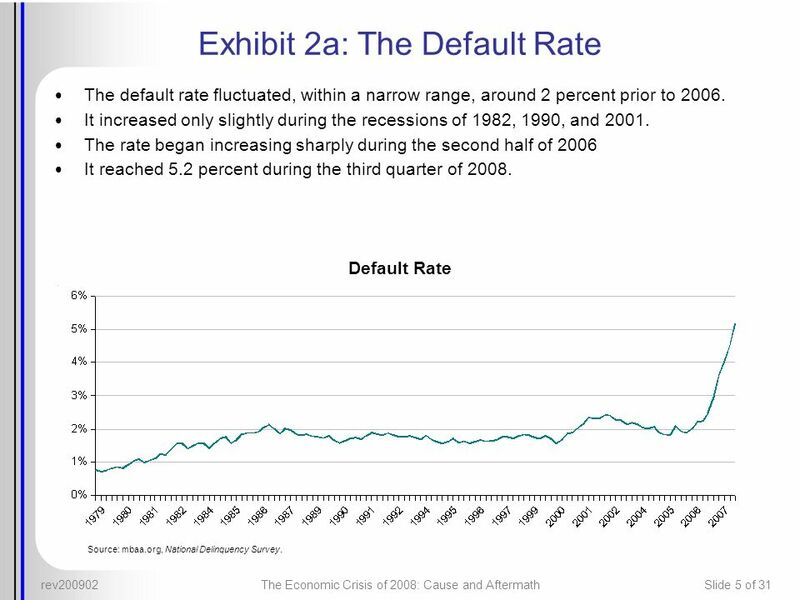 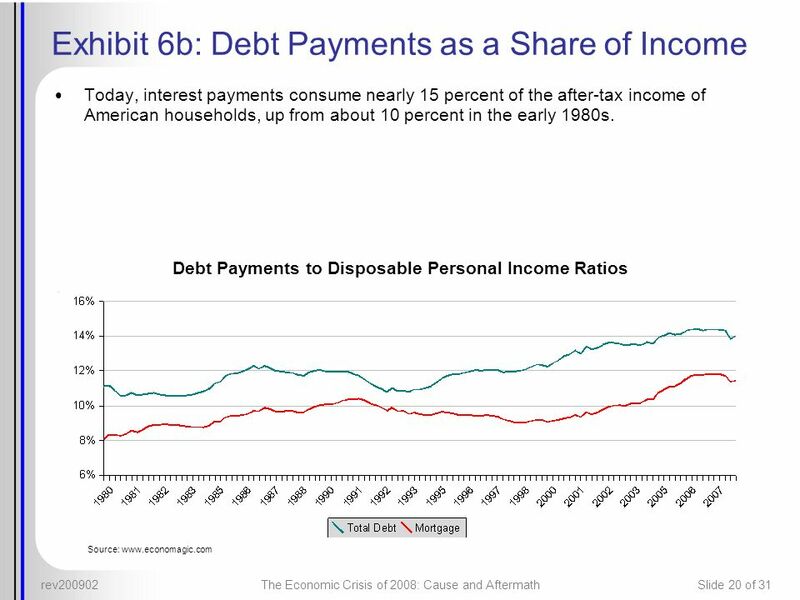 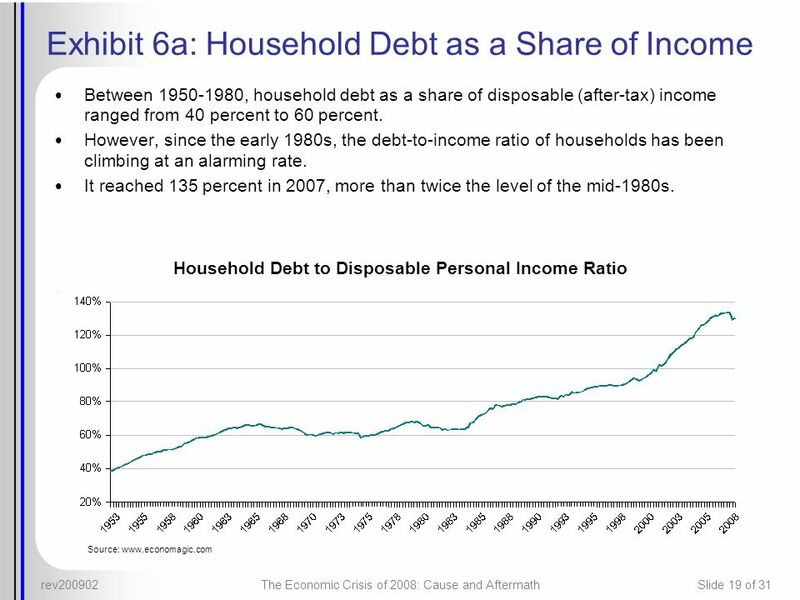 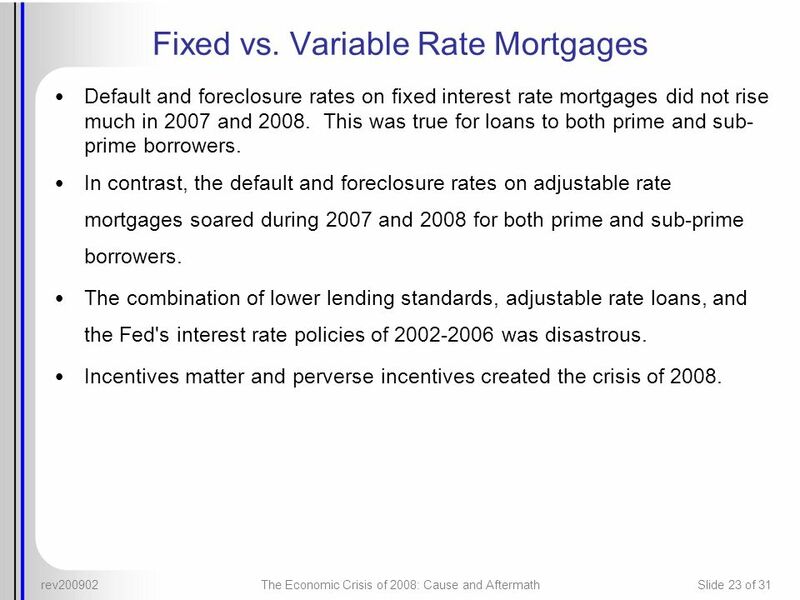 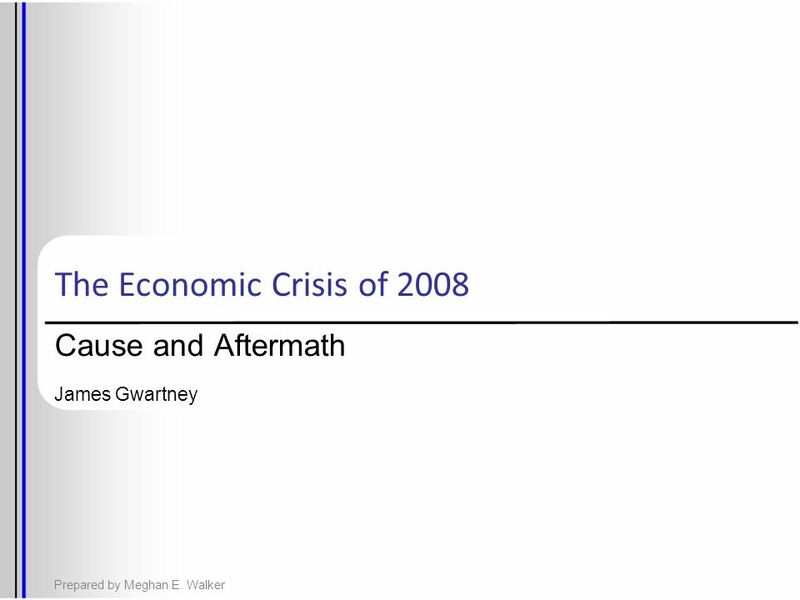 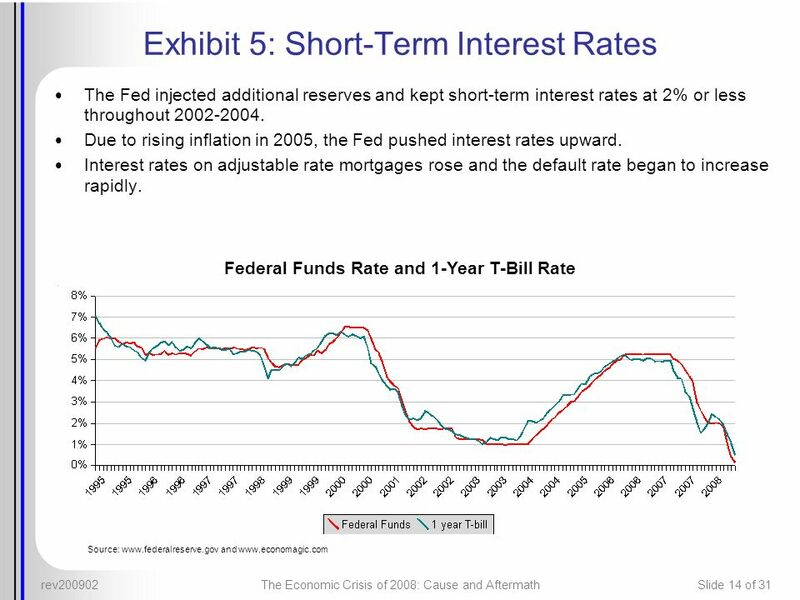 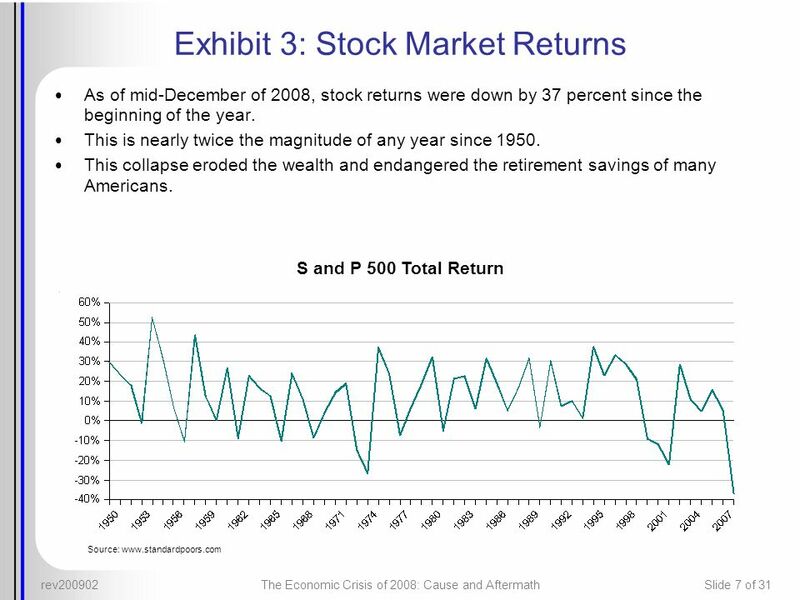 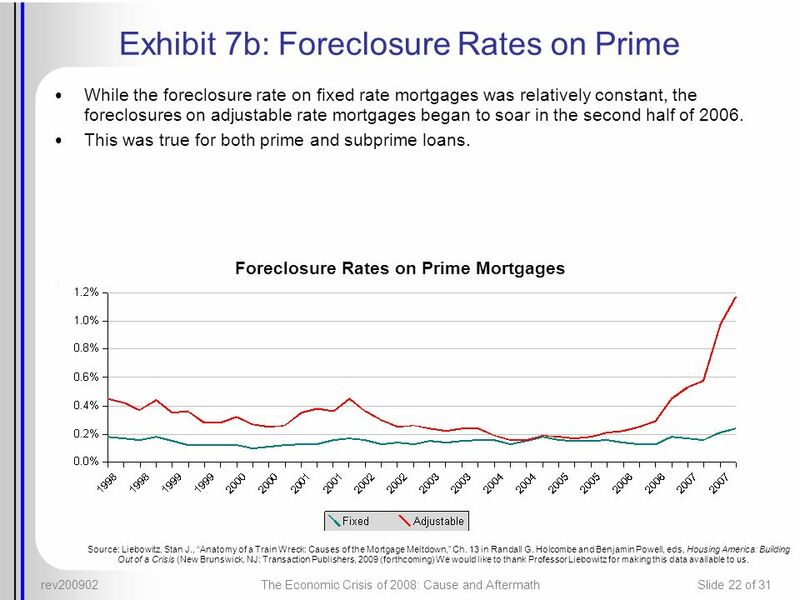 Download ppt "Cause and Aftermath James Gwartney"
Why We Are in a Recession August 2010 Daryl Montgomery August 31, 2010 Copyright 2010, All Rights Reserved The contents of this presentation are not intended. 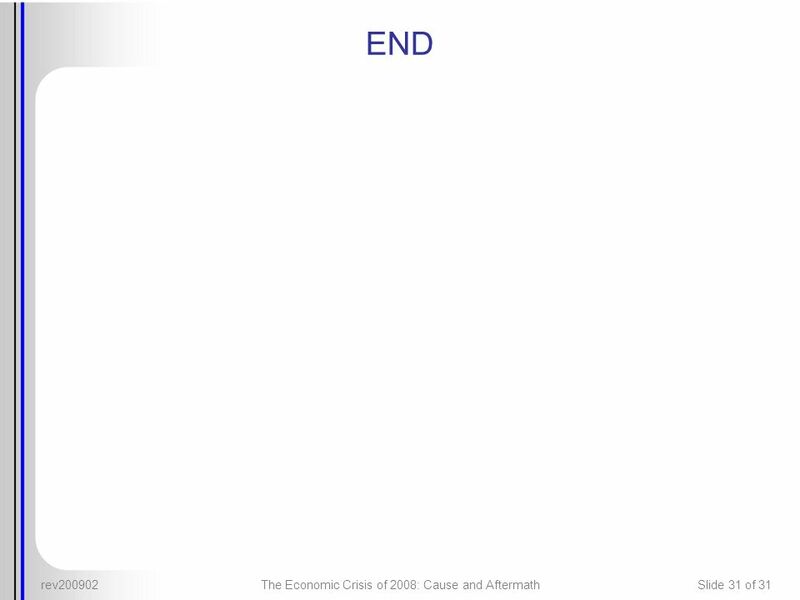 When Will It End? 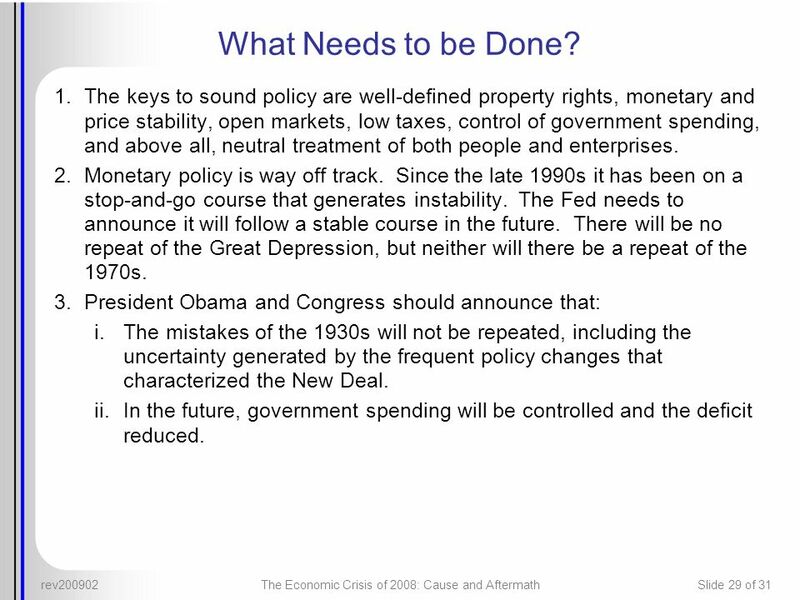 Presented by: Mark M. Zandi, Chief Economist Presented by: Mark M. Zandi, Chief Economist September 23, 2008. 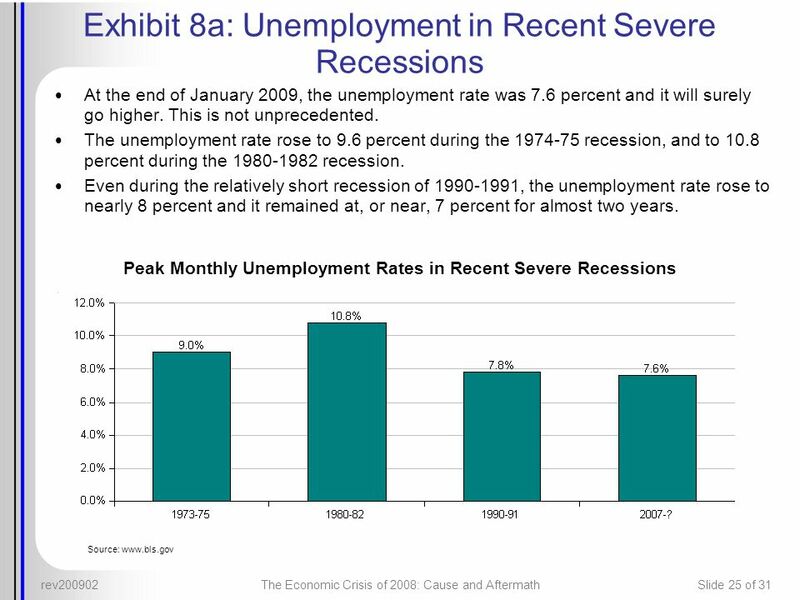 Our recession How did we get here ? 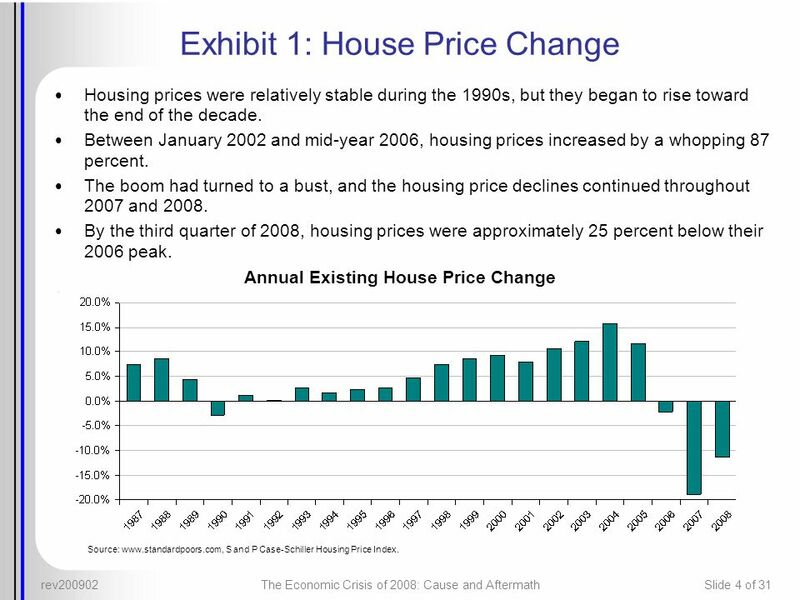 Part of the problem was your beautiful house. 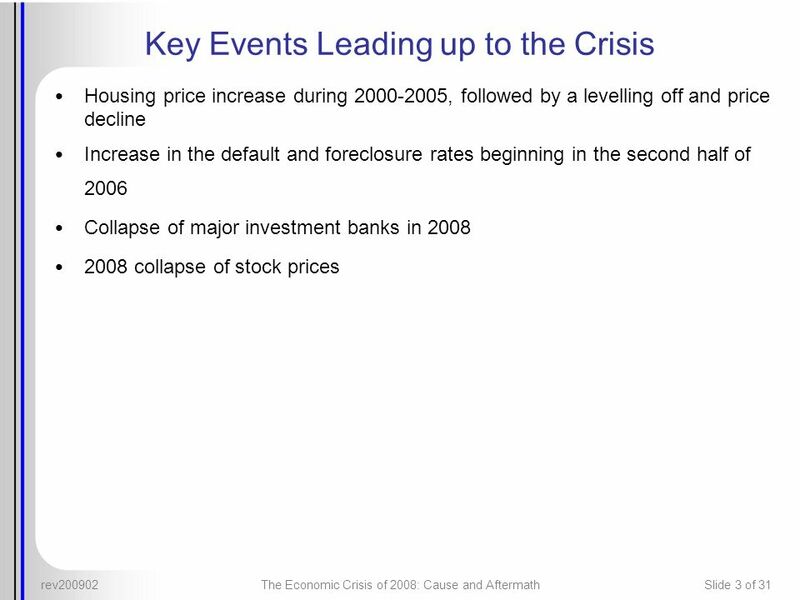 Recent Developments and Outlook Ministry of Finance January 2011 State of Israel Ministry of Finance. 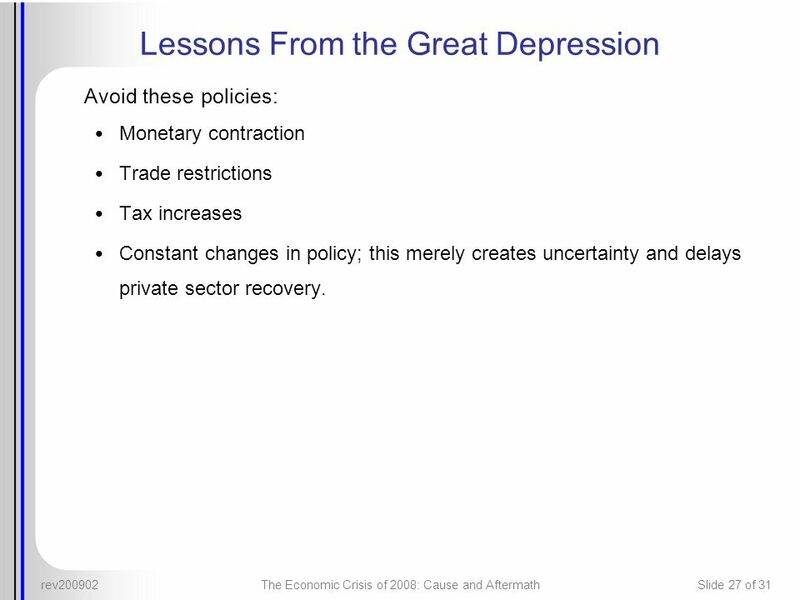 Norges Bank 1 Economic perspectives Charts Address by Governor Svein Gjedrem at the meeting of the Supervisory Council of Norges Bank on Thursday, 15 February. 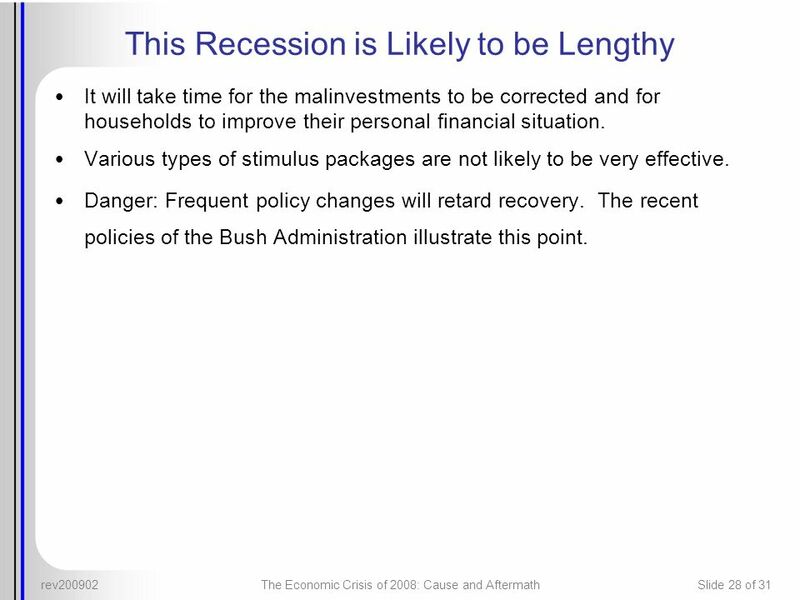 Ahleeya Vang Brooke Maxwell. 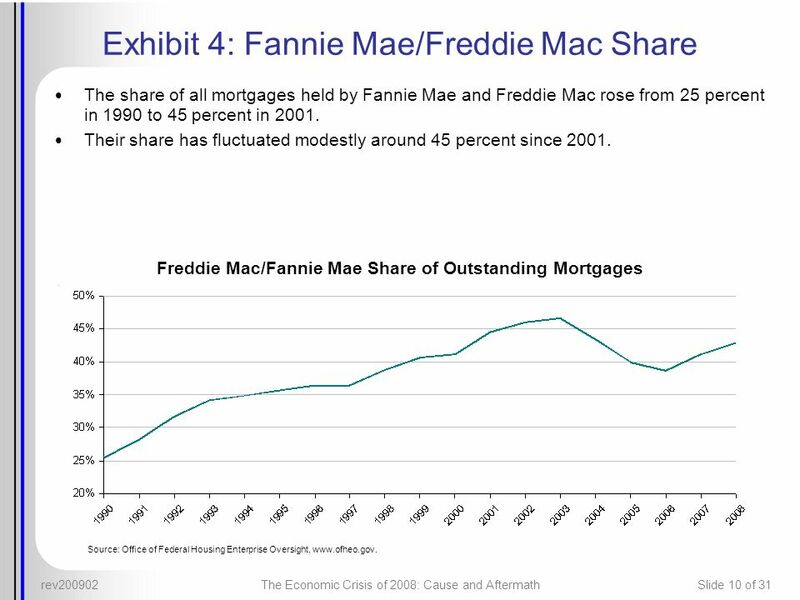 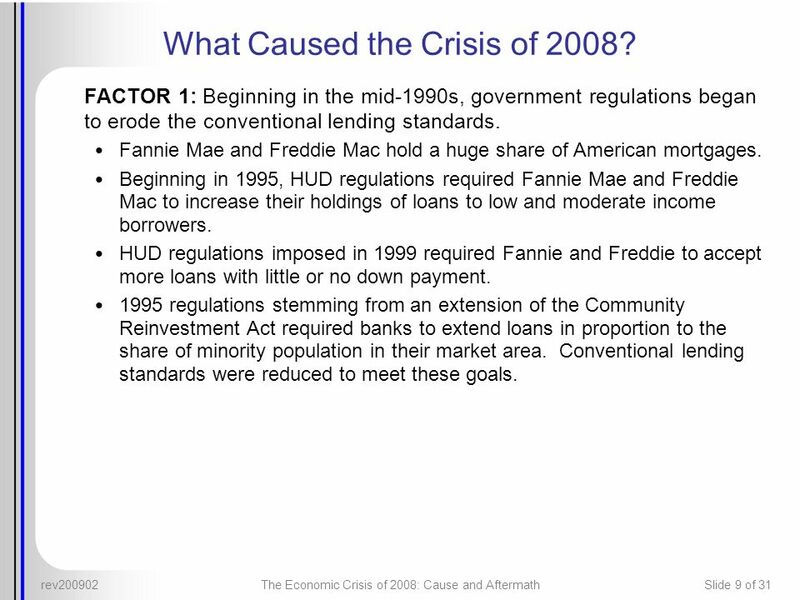 Agenda  Creating the Mortgage Market 1900: Who and Loan Characteristics 1930: Great Depression  Federal National Mortgage.